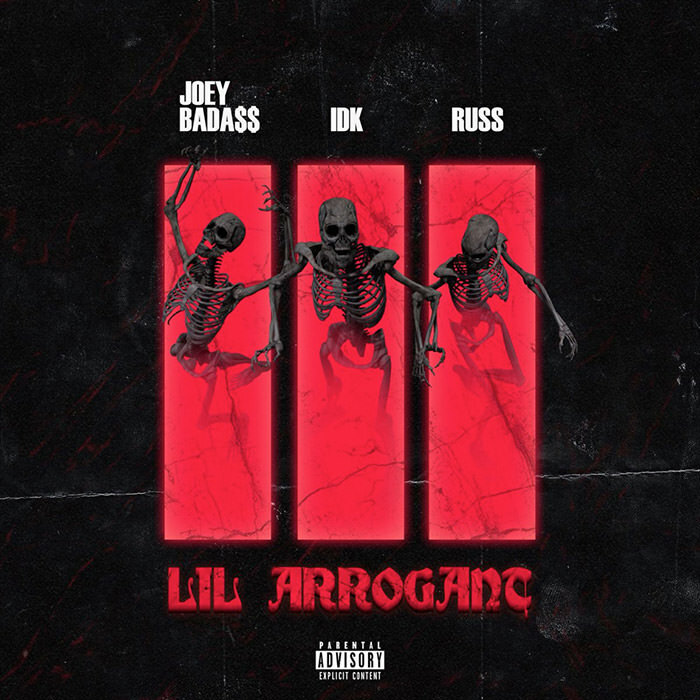 Serving as some of today’s more active artists, Joey Bada$$, IDK, and Russ have joined forces on a track reflecting a certain attitude they all carry, arrogance. Appropriately titled, “Lil Arrogant,” the trio each give their take on arrogance. All three acts have quite productive as of late with Joey treating fans to a number of loose tracks including a remix of YBN Nahmir’s “Bounce Out With That,” IDK has been in the lab with Denzel Curry, dropping two tracks with him including “Uh Huh,” and Russ is prepping his I See You tour. Press play on the LoFi and BiggKid-laced track below.